An innovative concept enveloping the globe, Augmented Reality brings the virtual world closer to the real one, engrossing the user into high definition functionalities. As an augmented reality service provider, we offer engaging AR apps for Android, iOS, Windows that elevate the user experience to a different level all together, increasing brand value. Our augmented reality experts work with different SDKs and develop high performing applications that can be compatible with any OS, hardware and device. Catering to a multitude of industries across the globe, irrespective of the size of business, our AR applications are highly communicating, secure, attractive, profitable and robust. Taking visualization to a level beyond imagination, our augmented reality development services and solutions attract more clientele in terms of cutting-edge technical expertise, flexible engagement models, moderate budgeting, well-defined project execution methodologies. Changing the perspective with which the users see the world, these AR apps haze the thin line between what is happening real and what is being generated by the solution. It boosts our senses in terms of what we are seeing hearing, feeling and smelling. Augmented reality development services are most popularly implemented in various sectors like eCommerce & mCommerce, travel & tourism, exhibitions, event management, health & fitness, hospitality, education, social networking and location-based advertising to name a few. Aiming to serve our clients with a high-end enhancement of existing reality with digital objects, our precise AR related strategies leap a step further in achieving the finest. 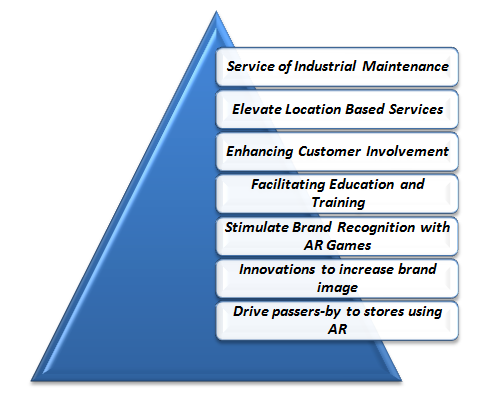 Why SPEC INDIA for AR Services? Our teams have comprehensive information of demonstrated frameworks. Technically at the finest – our services say it all. After all, that is what our designs are intended at - Offering attractive user experience and interface to our global customers. Our foot-mark in more than 35 countries high-points our universal spread, encompassing multiple domains and technologies. Our team of dedicated augmented reality experts leverage the potential of this wonderful technology and make sure all your business needs are transformed into all-inclusive AR apps offering a lucrative user experience.